Have a comb of serrated setae on the fourth tibiae (these are used to draw out and fling silk when attacking). Also, typically have a round opisthosoma, but some have a tear-drop shape or weird bumps along with a triangle shape. 32 genera in North America with over 200 species. One of the most diverse spider families worldwide, this family has more than 2,200 species. The common house spider is in this family (this spider lives with humans on every continent save for Antarctica, and is possibly the most common spider in the world). Though most are harmless, it is important to note that this also the family that the widows are members of – these being in the genus Lactrodectus. 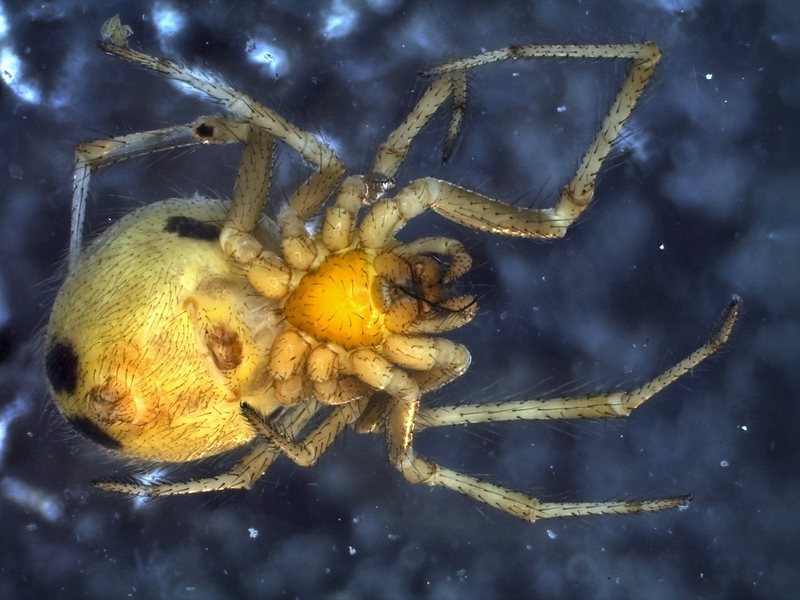 Some theridiids are kleptoparasites in the webs of other spiders, eating their prey and sometimes the host spider. The three-dimensional aspect of theridiids may seem chaotic, but is actually quite fantastic – prey gets stuck to a strand, and its struggling breaks the strand at a weak point causing it to be pulled up to the next strand, now suspended in the web (if the prey got stuck by trying to walk under the web), and the spider rushes in to wrap it up. They love to make their homes in sheltered areas, and, back when outhouses were still the thing, one normally took a stick along to remove any webbing before sitting – this seemed to be a great hangout for widows. I was told the crackling sound the web made as you brushed a stick through it let you know you had a widow, but I now wonder if that could be for all theridiids – either way, better safe than sorry, especially when it’s the middle of the night, and you had to walk a ways into the trees to even get to the outhouse. Hooray for indoor plumbing! However, the cobweb architecture that comes to mind is not the only web form in this family – there is actually quite a bit of diversity in web type, which is unusual for within a family. 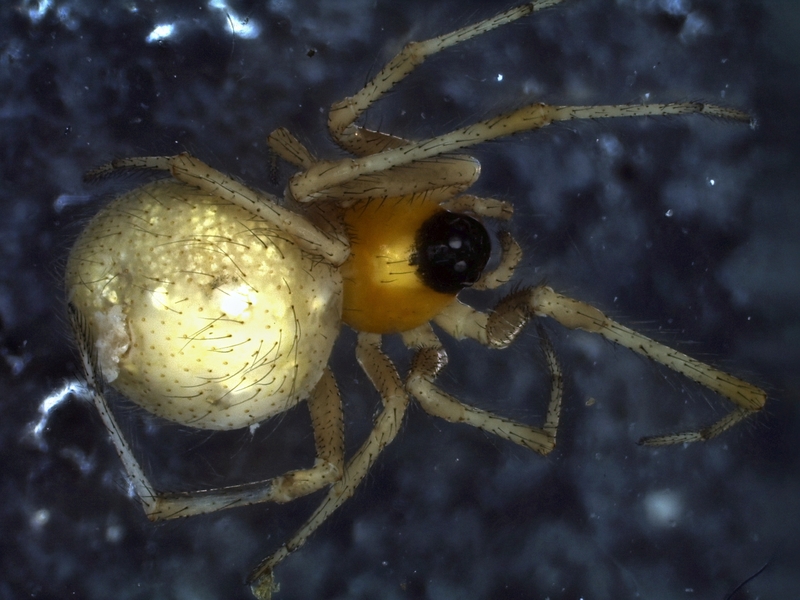 It is also interesting to note that there are even permanently social spiders in the Theridiidae.